Does geography affect our sense of 'self'? How are social characteristics mapped out on the ground? And is there any 'authentic' sense of place now, or are we increasingly 'placeless'? Concentrating on the period between the end of the Second World War and the end of the century, this Reader argues that there is a reciprocal relationship between the constitution of places and people. What it means to be a man or a woman , to have a nationality and a sense of place, has been transformed and reinvented as our view of the world has changed. The present is perceived as a time of fear, a period in which all that is solid seems to melt into air, while the 1950s are a site of nostalgia, a period of clarity and certainty, a time when people know their place. 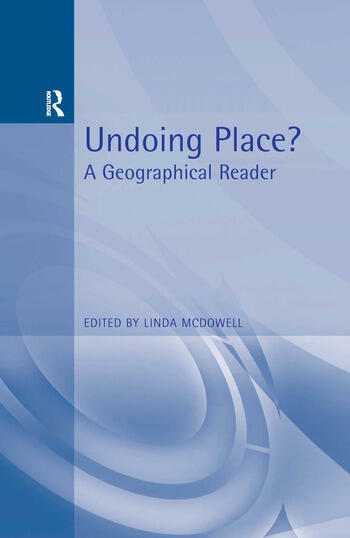 Bringing together an interdisciplinary collection of articles for social and cultural geographers, this Reader critically examines the argument that the close associations of the 1950s between place (the home, the community and the nation state) and the social divisions (gender, class and nationality) are breaking down in the 1990s. Drawing out the oppositional movements in each decade, it seeks to show how the supposed stability of one and the mobility of the other are exaggerated. Part 6 - The politics of place.